“Have you heard about the girl of eighteen who swallowed a pin, but didn’t feel the prick until she was twenty-one?” is the sort of joke that led to Max Miller becoming Britain’s top comedian in the 1930s, 40s and 50s. 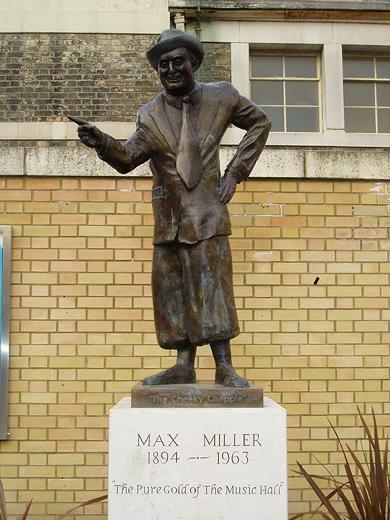 A statue of ‘cheeky chappie’ Max Miller was unveiled in his beloved Brighton on 1st May 2005 by the Mayor Pat Drake, Sir Norman Wisdom OBE, June Whitfield CBE and Roy Hudd OBE, who is President of the Max Miller Appreciation Society. The £30,000 bronze statue is on the grounds of the Royal Pavilion behind the Dome Theatre and opposite the Theatre Royal. It depicts Miller in his trademark Homburg hat, kipper tie and suit. It was created by local sculptor Peter Webster who is also responsible for the life-sized statue of Olympic athlete Steve Ovett in Preston Park. The Pavilion as we know it today was built in 1811 by London architect John Nash for the Prince Regent (later King George IV). The statue of Max Miller is not the first addition to the Pavilion’s grounds. The North Gate, South Gate and statue of King George IV were all added after it was built. Interestingly the Dome Theatre was built in the grounds in 1804 as stables for the original Pavilion (the Marine Pavilion). Miller maintained his connection with Brighton throughout his career and enjoyed performing at the Hippodrome on Middle Street. Unsurprisingly, the statue isn’t the only memorial to Miller in Brighton. There is a plaque dedicated to his memory at No. 25 Burlington Street, off the Kemp Town seafront, where he lived from 1948 until his death there in 1963. There is also a memorial tablet at the Downs Crematorium. 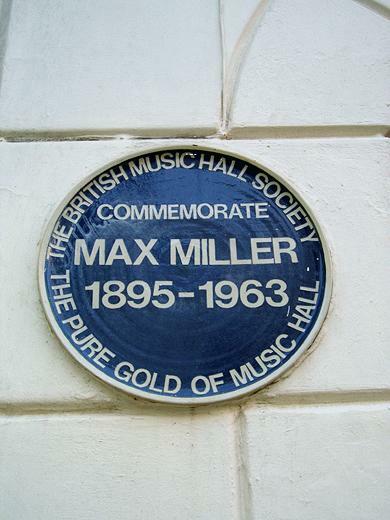 Max Miller was born in 1894 at 43 Hereford Street as Thomas Henry Sargent. He left school at the tender age of twelve and went on to fight in the army during the First World War. It was during this period that he began developing the skills that made him famous with shows in front of fellow soldiers. As a stand-up, he excelled, playing in large variety theatres where he told audiences off for laughing at his suggestive jokes. He appeared in fourteen feature films between 1933 and 1942. The cheeky chappie also wrote and sang many of his own songs which were often banned from being broadcast on the radio due to being too blue! Following on from a recent week of work in the European Parliament, I couldn´t resist comparing Brussels to my beloved Brighton & Hove. 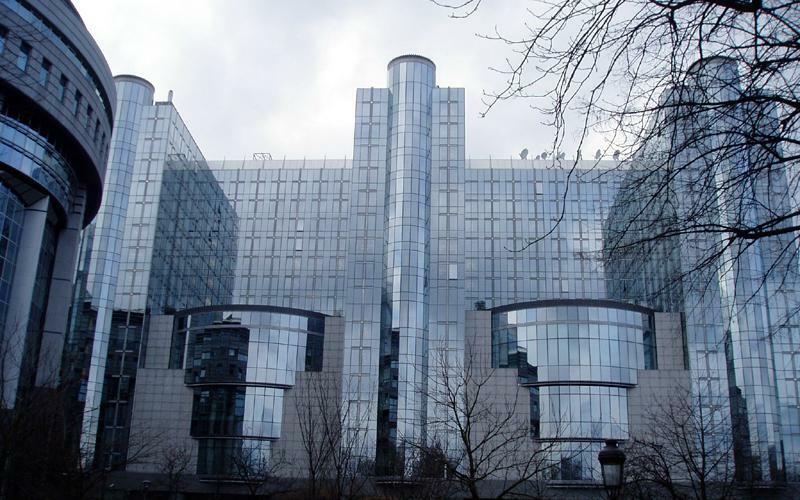 Europe´s capital, with a population of around one million, should be leading the way in terms of architecture and economic efficiency so it´s unfair to compare, isn´t it? 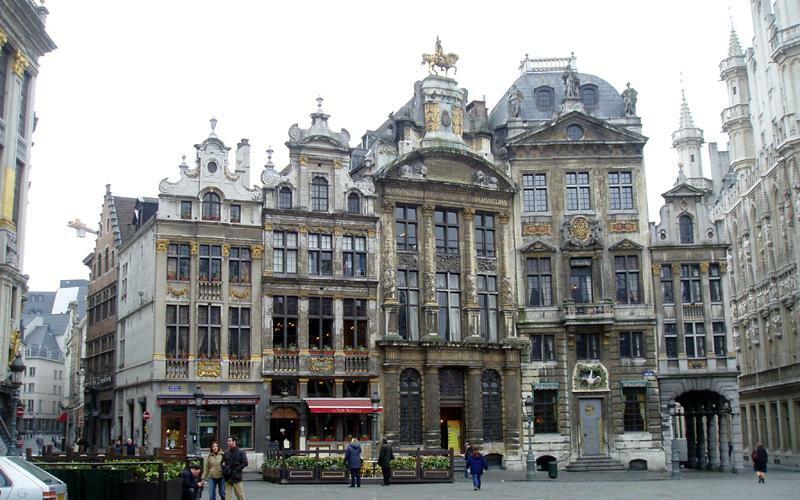 Grand Place is Brussels’ best feature and is a truly spectacular open square surrounded by the buildings of the ancient guilds, the imposing Hotel de Ville and a bar with a real fully-grown stuffed horse! There are many excellent buildings and monuments, including royal palaces, and a statue of our Field Marshall Montgomery who liberated Brussels during the war. However, general grubbiness (including the Police smoking on duty) and a lack of greenery don’t do the city any favours whatsoever. Transport, a particular area of contention in Brighton, is at least under control in Brussels. At busy junctions, main roads vanish underground and reappear as part of a vast tunnel network. The Metro is decent but complicated at first, as escalators only start moving when approached and the trains emerge from square, not round, openings. 1980s British pop songs playing from the stations´ speakers only add to the confusion! Brighton´s clean and frequent busses are, however, much better than Brussels´ bendy equivalents. The built-up Quartier Européen, in which the European Commission, Council and Parliament are based, convinced me that Brighton is in need of a proper central business district. The area around Preston Park Station could be seriously developed or, alternatively, Eastern Road to the east of American Express. Large buildings are almost impossible to remove once in place, but, if properly situated, could be massively helpful to our local economy. Despite this, we should only accept new towers in Brighton on condition that the bad ones, such as Chartwell Court, Sussex Heights and Theobald House, are completely flattened first. The funniest moment of my trip was discovering that an English journalist, Per, who pretends to be Swedish, actually lives in the European Parliament. Amazingly, he lives on the free food and champagne from the many receptions and sleeps in various nooks and crannies rent-free despite losing his job and pass ages ago. I certainly had a great time in Brussels with my hosts, Andrew and Rebecca. The European Parliament wasn´t the gravy train that I was expecting though – ´train de champagne´ would be a more fitting description! 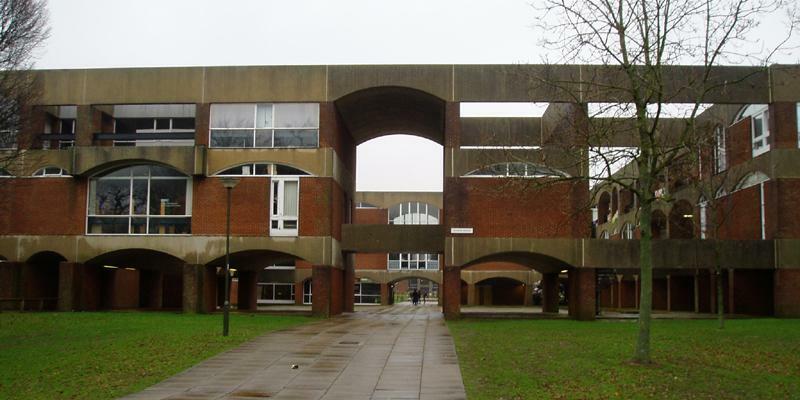 The University of Sussex was the first of a wave of seven new universities that were founded during the 1960s around the country. The idea of such an institution was first raised in 1911 in a meeting in the Royal Pavilion by a local architect but plans weren’t revived until 1956. The University received its Royal Charter in August 1961 and opened in temporary accommodation near Preston Park with just 52 students. Today, it is a self-contained village with nearly 12,000 students. The idyllic setting of Stanmer Park, bought by the council in 1947, provided an abundance of land. 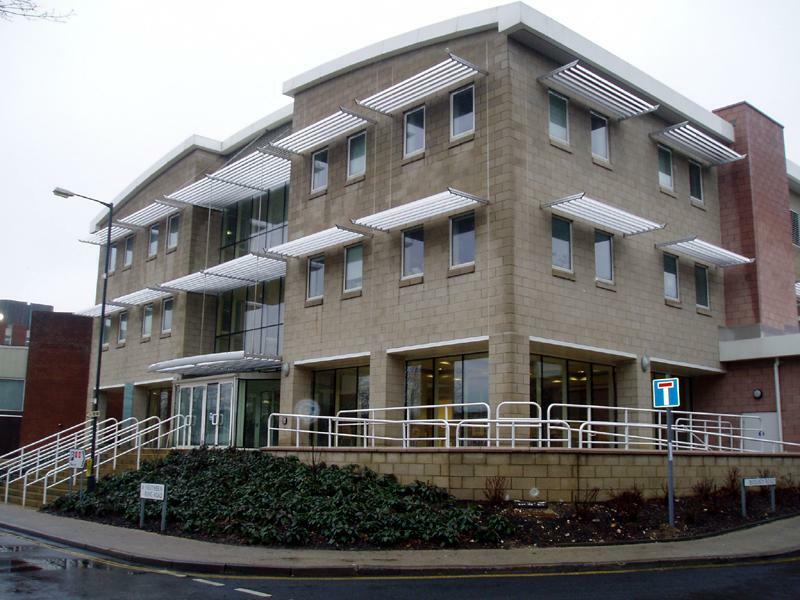 The first building that one comes across upon entering the campus, by car or by train, is Falmer House. It is essentially a series of rooms above massive concrete and red brick arches around a moated courtyard. It was completed in 1962 as part of the first phase of a grand plan by Scottish architect, Basil Spence (later Sir Basil) and won one of the coveted medals of the Royal Institute of British Architects. It is also one of just several Grade I Listed buildings in the city. Much of the rest of the campus is Grade II* Listed including the circular non-denominational Meeting House of 1966 which has walls built from honeycombed blockwork with coloured glass in the voids in-between. The Gardner Arts Centre was built in 1969 as a flexible theatre and is made up of various circular and segmented sections – like a small brick Guggenheim Museum. The University won a Civic Trust Award that same year. There was originally no student accommodation and it was assumed that the various hotels and bedsits around town would be enough. They weren’t and today there are many residential developments in varying styles that have sprung up on campus. A much-needed new medical centre has been built on the main thoroughfare which simply doesn’t fit in with the rest of the buildings. This is a shame as, although quite individual, Spence’s original designs would certainly not have been difficult to match. Situated by the Sussex Downs, Sussex is the only university in England which is based entirely within a designated Area of Outstanding Natural Beauty. The Chancellor is of course Sir Richard Attenborough, whose Brighton connections go way back. I in fact studied engineering at Sussex but always regret not taking more of an interest in the fine architecture at the time. Due, in part, to the nature of the flowing hills and valleys that make up Brighton & Hove, there are several places that offer absolutely breathtaking views. Those from Brighton Racecourse, Foredown Tower in Portslade and the top of Ditchling Road are certainly amongst the finest. Most are due to the variance in height of the land though some are completely man-made, such as that from the top of the tallest building in town, Sussex Heights. Of all these great vantage points, it must be said, that the view from Devil’s Dyke on the South Downs is without doubt the finest. It is said that the Devil began digging a dyke through the Downs in order to flood the Weald (the portion of Sussex north of the Downs) because he was furious about there being so many churches in the area. An old woman saw what was going on, lit a candle and put it in her window. She then knocked her sleepy cockerel off its perch so that it crowed, thinking that it was the morning. The Devil thought that dawn had arrived, threw down his spade and kicked a hefty boulder. The boulder sailed over the hills into Hove and became the Goldstone. 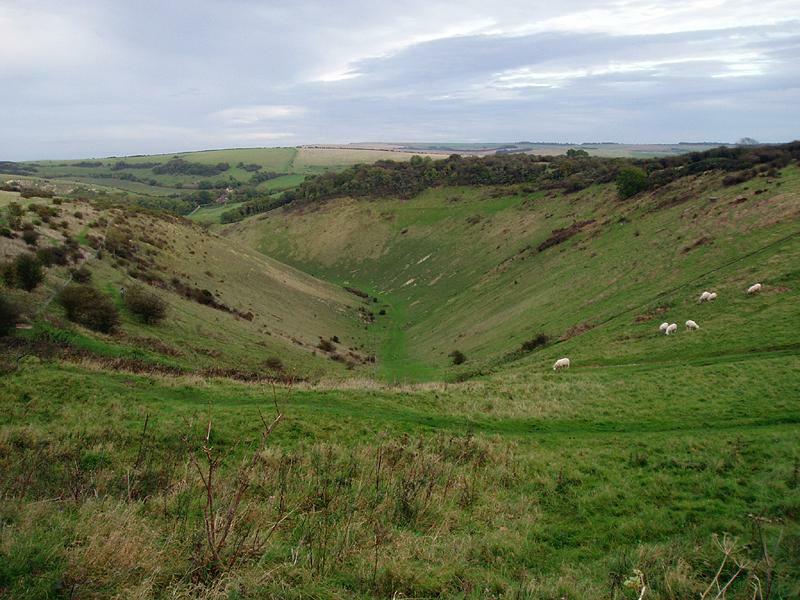 I’m not quite sure that I believe that entire story as it is more probable that the spectacular Dyke, a large gash in the hills, was carved by tremendous amounts of water flowing from the Downs during the Ice Age. Although the Dyke itself is particularly enchanting, people generally travel up there for the viewpoint over the Weald which is 711 feet above sea level. It is in fact possible to see as far away as Surrey, Kent, Hampshire and the Isle of Wight. A popular railway line to the Dyke from Hove was opened in 1887 and closed in 1938. The same engineer, Charles Blaber, was also responsible for a steep line to Poynings that opened in 1897 and closed in 1908. In 1894, an aerial cableway was installed 230 feet above the ravine which closed in 1901. Hang-gliding is the most popular form of life-risking at the Dyke today. My descriptions of the view from Devil’s Dyke in no way do it justice so please go and see for yourself if you haven’t already. And remember, if you happen to go at night, be sure to bring a torch – and a cockerel!